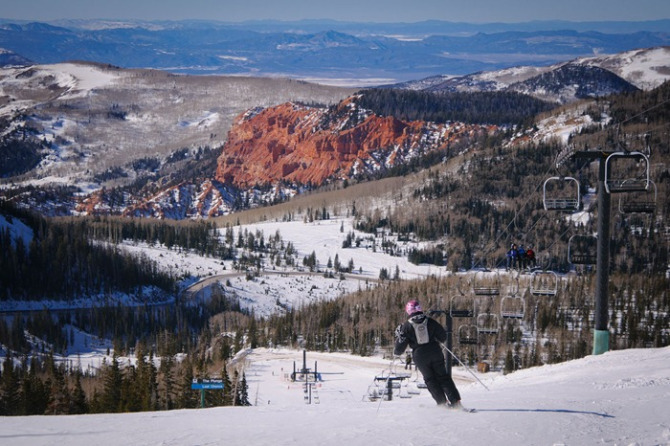 As the mountains begin to take on hues of scarlet, gold and russet, many Utahns might be looking eagerly toward the coming months when those slopes will be blanketed in white. 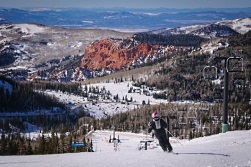 The Utah ski industry nurtures a whopping annual income of about $800 million dollars. It’s no surprise, therefore, that the state claims to have the “greatest snow on earth.” In fact, the state of Utah managed to make their slogan a federal trademark in 1995 after winning a lawsuit brought by the Ringling Brothers and Barnum & Bailey circus group, who felt the catchy marketing phrase might be confused with their slogan, the Greatest Show on Earth. The trademark must have worked, because Utah draws so many visitors to its slopes, it racks up about 4 million skier days annually. But disregard plenty of evidence that we do indeed draw a crowd, and the statement is pretty subjective. So what’s the science behind our legendary powder? The ideal condition skiers hope for is a deep, fluffy snow that creates the illusion of bottomless powder. And finding it is a bit like the Goldilocks story. Too wet, and you bog down. Too dry, and there’s not enough body to create a floating sensation beneath the ski. If the terrain is too steep, the powder won’t stick. And if it’s not steep enough, you can’t build sufficient momentum to glide over the top. To get to the bottom of why Utah’s snow is just right, we actually have to look even further westward, toward the slow warm waters of the North Pacific current. As water laden clouds move inland, snow first falls over the Cascades in the north and the Sierra Nevadas further south, with an average moisture content of 12%. Even in areas like Washington’s Mt. Baker, where annual snowfall comes in greater quantities than Utah, the moister maritime snow creates a heavy base that bogs down skis. By the time these winter storms cross the Great Basin and reach the skiers’ Mecca of Alta and the Wasatch Range, the moisture content will have decreased to about 8.5%. And that seems to be the sweet spot. The moisture content of Utah’s intermountain snow is just enough that powder from our first storms settles into a soft but voluminous base. As winter progresses, fresh snow falls in a cold and mostly arid environment, forming very fine, symmetrical crystals called dendrites. The microscopic structure of dendrites allows them to accumulate in well ventilated, incompact drifts, much like the puffy down in your favorite pillow or ski jacket. And perfect powder isn’t the only advantage Utah’s ski resorts have over their neighbors. Our mountainous topography, with its wealth of winding canyons, means we have an abundance of slopes well protected from strong winds which could compact or carry away fresh snowfall. And while so many cold and overcast days might get you down, it also protects our top powder from radiation and air mass effect, which can create a crust along the surface. And that means our freshly fallen powder sticks around for longer. So consider that Utah offers 26,000 acres of mountain, blanketed in more than 500 annual inches of perfect intermountain snow, and it’s no wonder we enjoy 5 times the number of “powder days” as our neighbors. “The Greatest Snow on Earth” starts sounding a lot less subjective, and more like truth. In fact, you just might be tempted to make like Goldilocks and make yourself at home. Hi, I’m Ru Mahoney with Stokes Nature Center in Logan Canyon. 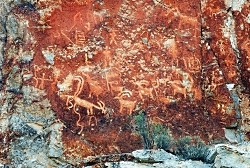 Utah is home to several iconic species – as indelible to our state’s identity as the craggy mountain landscapes and red rock deserts we call home. Gnarled bristlecone pines stand like abstract architecture for multiple millennia. Elusive mountain lions roam our alpine meadows in the north, all the way to our red rock canyons in the south. And curious coyotes – as resourceful as our native and pioneer ancestors – are truly wily wayfarers, as adaptable to suburban environments as to open range. 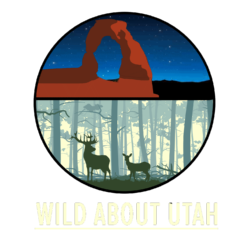 But however pervasive iconic species may be to perceptions about our state, there are lesser known residents that are the true Utahns – species found absolutely nowhere else in the world. The word “endemic” refers to a plant or animal whose distribution is restricted to a specific region. 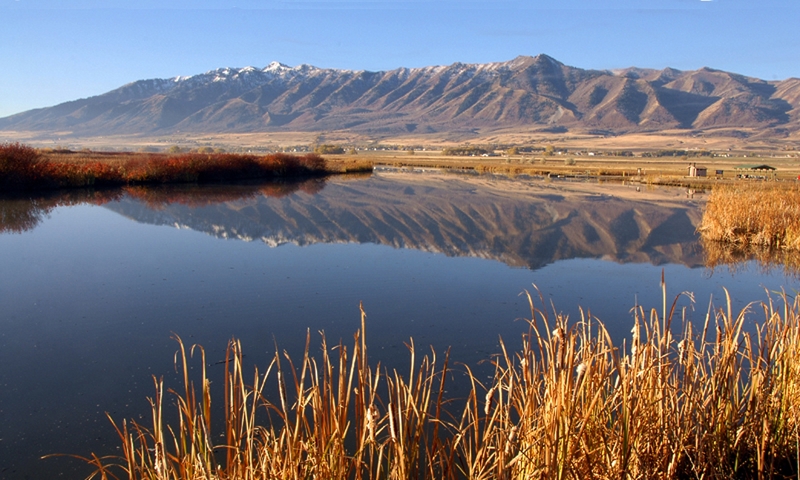 Utah ranks 6th in the nation for endemic species, with 247 endemic plant species alone. 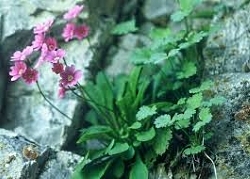 One of these is Primula cusickiana maguirei, or Maguire Primrose. This unassuming reddish violet-blossomed wildflower, standing just 2-4 inches high, makes a living in the cracks and depressions of limestone and quartzite outcrops along a 10 mile corridor through Logan Canyon in northern Utah. And that’s it! You won’t find it anywhere else on the planet. Of that narrow home range, Maguire Primrose is further isolated into two distinct populations within the canyon. Subtle differences in spring temperatures between the canyon walls often lead to one population blooming before the other. And while some species of primrose can survive by occasionally self-pollinating, Maguire Primrose is entirely dependent upon pollinators like bees, moths and the occasional hummingbird for reproduction. Therefore the success of Maguire Primrose requires a precise balance between cool temperatures for development and blooming, warmer temperatures to encourage pollinator activity, and a sufficient number of compatible mates blooming at the right time in the right place. In addition to these natural challenges, the US Forest Service reports that Maguire Primrose is increasingly impacted by recreational rock climbers, who clear cracks and crevices to accommodate permanent anchors along popular routes. Stokes Nature Center, and our forest service partners in the Logan Canyon Children’s Forest, hope to increase community awareness about Maguire Primrose to recruit our fellow nature lovers, including rock climbers and other canyon visitors, to become informed stewards of this rare and vulnerable wildflower. Wildflower enthusiasts can find Maguire Primrose blooming from mid-April to mid-May at elevations of 4,800 to 6,000 feet. Flowers are more prevalent on north-facing cliffs where moisture from spring snowmelt is abundant and cooler temperatures nurture bud development. Stokes Nature Center, in partnership with the Logan Canyon Children’s Forest, offers seasonal guided field tours where canyon visitors can learn more about natural and human threats to Maguire Primrose, and enjoy a chance to see a true Utahn species found nowhere else in the world.